Local First, a non-profit which supports local businesses, continues to grow and is now at 345 Fuller. The Office warming party is on July 21, 2016 from 4-7 p.m. The business of supporting local is booming. In early May of this year, Local First once again moved its office to accommodate a growing staff and membership base. This month, the organization opens its doors to the neighborhood. The organization spent its early years at 955 Wealthy St. SE, getting its start on the second floor. In June of 2011, the organization outgrew the space and the staff of five moved to the main floor of the building, both increasing visibility and square footage. 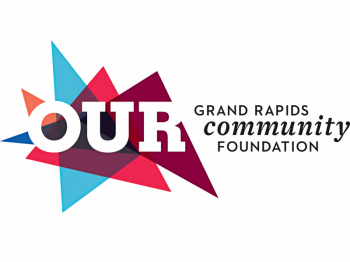 Now located at 345 Fuller Ave. NE, the organization is supported by two boards, nine full and part-time staff, serves 800 members in West Michigan, and hosts several annual events for business owners and community members in the region. The new space more than doubles the leg room for Local First and includes an open office layout with 12 workstations, one large and two smaller conference rooms, two kitchenettes, and one small semi-private office. 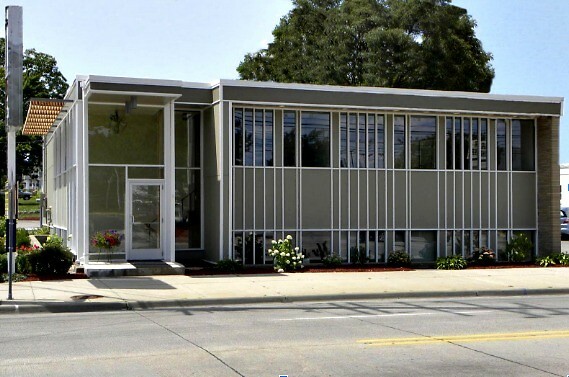 Earlier this year, Pamela VanderPloeg of West Michigan Modern researched the space and featured a story on the building and its history. 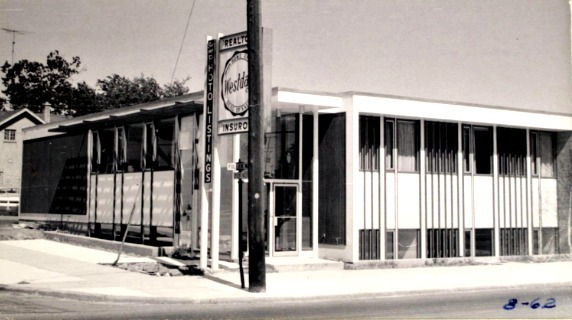 It outlines that the space was originally built in 1958 by Leonard L. Westdale to be the home of the Westdale Company, a real estate brokerage firm that would later launch the first computerized system to match real estate sellers and buyers. The office at 345 Fuller NE also has political roots. In the 80’s, it became home to the Republican Party Headquarters. Betsy DeVos, Party Chairwoman, announced the purchase of the building in 1985 and would stay until 1996. After trading hands a number of times, the building later served as President Obama’s re-election headquarters in 2012. Today, freshly renovated with the help of Custer, Design Edge Sign Company, Lott3Metz Architecture, Silver Lining Computer Services, Steelcase, and X Ventures, the space gives Local First room to grow. The staff is excited to show off their new digs to members, neighbors, and anyone else who would like to see the space. The organization is hosting an Office Warming Party on July 21, 2016 from 4-7 p.m. The event is free to attend and all are welcome.